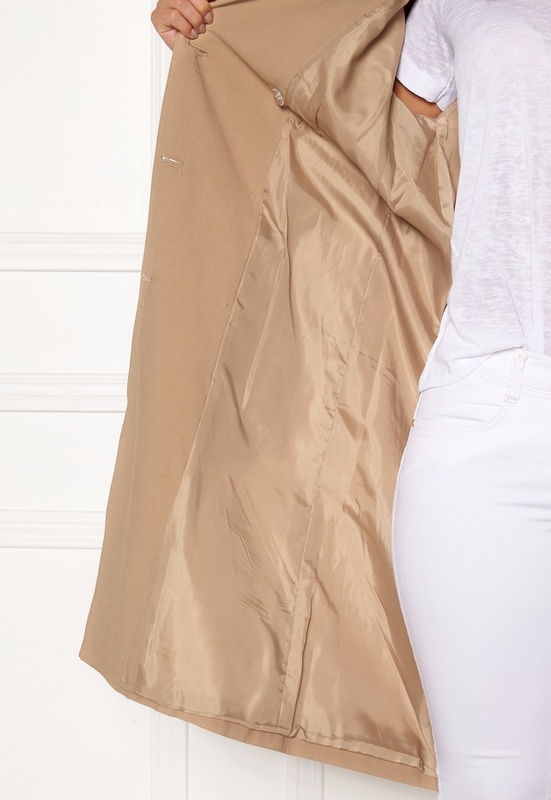 Elegant coat in a classic trenchcoat style from ONLY. The coat has a front closure and a detachable belt. - Nonstretch, woven quality - V-neck collar - Lined - Two front pockets - Decorative button at cuffs Length from shoulder 107 cm in size S. Elegant dress with fancy lace from GODDIVA. The dress is perfect for festive occasions. - Skirt with lined mesh - Concealed back zipper - Accentuated waist - Skirt is longer at back Back length from shoulder 121-126 cm in size S (UK 10). The model is 173 cm tall and wears a size S. Machine wash at 30 degrees.